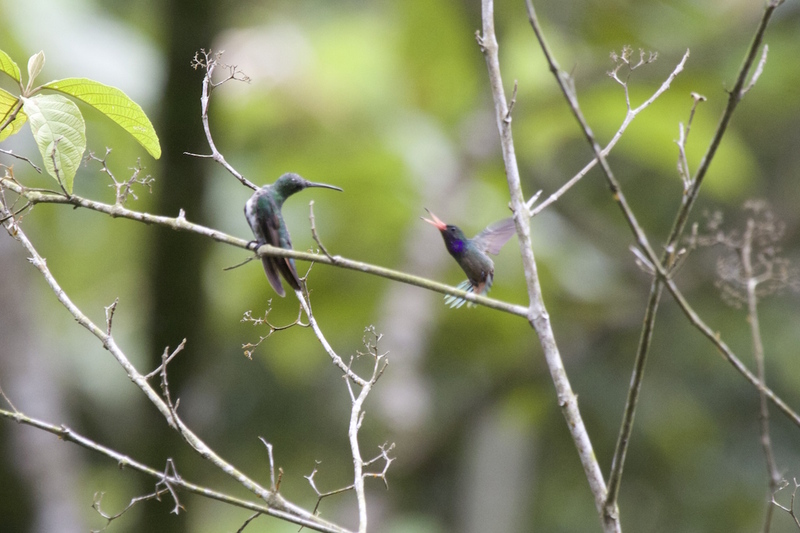 On the 7th of October, walking around Tranquilo Bay ecoadventure lodge, located on the south peninsula of the Bastimentos Island we observed a male Blue-thoated Goldentail perched and then fighting a Green-breasted Mango. 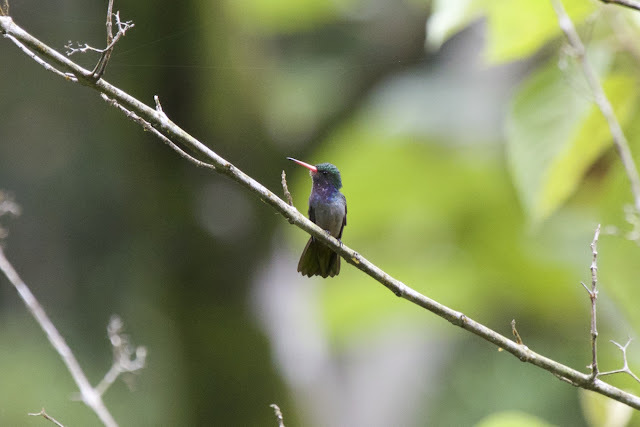 Fortunately one of the guests, Christopher Ng, had a camera, and got some good pictures for identification. 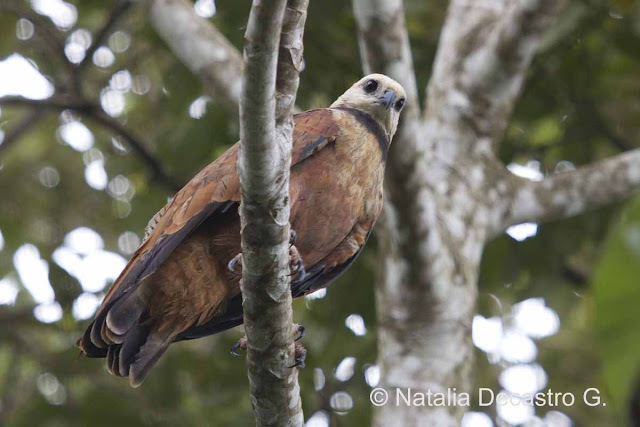 The following day, in birding excursion to the Snyder canal, at the San San Pond Sak wetland, we observed a Black-collared Hawk. It was not afraid at all with our presence, and gave several opportunities to photograph it. Also seen was an immature Bare-throated Tiger-Heron. 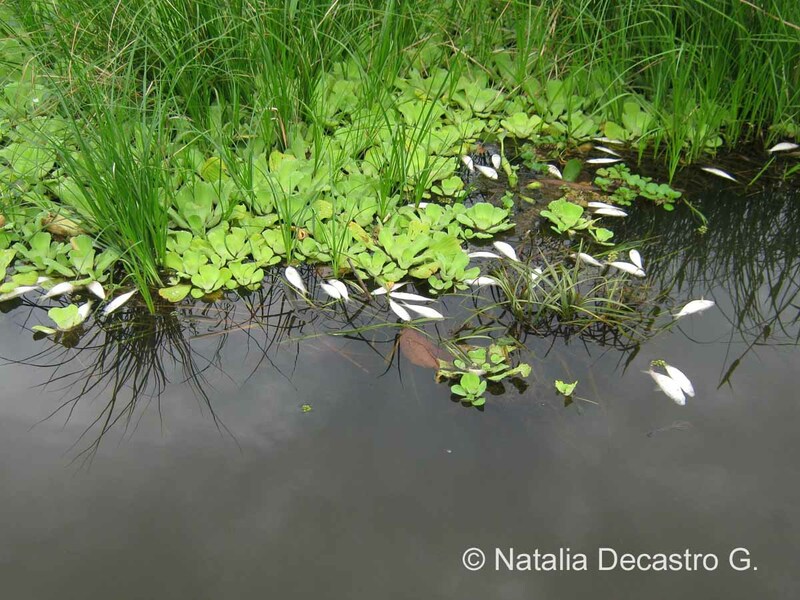 In the same area were several hundreds small dead fishes, all of them where the same species and in a high grade of decomposition.